Rochelle Youner, who lives at the Hebrew Home at Riverdale, a nursing home in the Bronx, walked up to a kiosk in a common area of the home’s first floor and pressed a button below a small icon depicting a baseball glove. “That’s the real stuff — that’s a mitt, all right,” Ms. Youner, 80, said, smelling the leathery fragrance emitted from the kiosk, which attempts to bring the ballpark, or at least the smell of it, to the residents. Many of the Hebrew Home’s residents were born and raised in the Bronx and are lifelong fans of the Yankees, with memories of visiting Yankee Stadium stretching back to the eras of Mantle and DiMaggio, and even earlier to Gehrig and Ruth. But many of these older fans also suffer age-related memory loss. So the home, which often finds seasonal pegs for its reminiscence therapy programs, has timed its latest program to opening day at Yankee Stadium on Monday by erecting the kiosk with the therapeutic goal of recreating the distinctive smell of the ballpark. “Too bad we can’t be there in person,” Ms. Youner said. This is the point of the kiosk: to once again take these fans out to the ballgame. For residents who followed the Dodgers, the scents recalled childhood days at Ebbets Field in Brooklyn, and for Giants baseball fans, they brought back afternoons at the Polo Grounds in Manhattan, in the days before both teams decamped for the West Coast. The kiosk features six ballpark scents — hot dogs, popcorn, beer, grass, cola and the mitt — in separate push-button dispensers installed at a height accessible to residents in wheelchairs. It was recently installed in the permanent “Yankees Dugout” exhibition of team memorabilia at the nursing home, which includes seats, a turnstile and a locker from the old Yankee Stadium. The olfactory exhibit, called “Scents of the Game,” is meant to evoke long-forgotten memories from the home’s 785 residents, many of whom have Alzheimer’s disease or dementia. Many have difficulty with short-term memories but with some prompting can summon long-term ones, such as detailed recollections of childhood visits to ballparks decades ago, said Mary Farkas, director of therapeutic arts and enrichment programs at the Hebrew Home, where baseball has also been used in art therapy and poetry workshops. Prompting these ballpark memories helps connect many residents with the joy they felt at the time and also helps stimulate their cognition, Mrs. Farkas said. Dr. Mark W. Albers, a neurologist at Massachusetts General Hospital in Boston, who studies the effect of scent on patients with neurodegenerative disease, said the Hebrew Home’s memory exhibit touches on fairly new territory in sensory therapy in trying to resurrect positive recollections in a small population of patients who share certain common memories. Memory loss in older patients can often cause “an erosion of familiarity” and be accompanied by feelings of disorientation, he said. Unearthing pleasant memories from earlier years through sensory stimulation may help patients feel more stable, Dr. Albers said. Of course, he added, memories of Yankee Stadium might bring back very different emotions for fans like him, who root for the Boston Red Sox. For Renee Babenzien, 89, the hot dog aroma triggered recollections of vendors selling franks with mustard and sauerkraut. Al Cappiello, 68, smelled the fragrances and recalled the sensory explosion he experienced the first time he walked into Yankee Stadium as a boy. Up until then, he said, watching the Yankees meant watching games on a black-and-white television set, with the action being called by Mel Allen, the Yankees broadcaster. He did see Yogi Berra, tossing a ball with teammate Johnny Blanchard, and he managed to get Berra’s autograph. Ms. Youner also recalled being surprised by how different the ballpark seemed in person. “The first time I walked into the ballpark, I noticed that everything was bigger — even the basepaths were so much wider,” she said. For Terry Gioffere, 90, who grew up in the Bronx, the smells evoked memories of watching her hero, Roger Maris — although in more recent decades she became a Derek Jeter disciple. For Joan Jackson, 84, the smells took her back to her first trip to Yankee Stadium, at age 6, but also reminded her of the role that the stadium played in helping her raise five children in the Bronx after her husband died in 1973. “I had to do something to lift the kids up, so I said, ‘Let’s do something fun and go to Yankee Stadium,’” she recalled. “The kids fell in love with baseball,” she said, and going to games helped hold the family together. 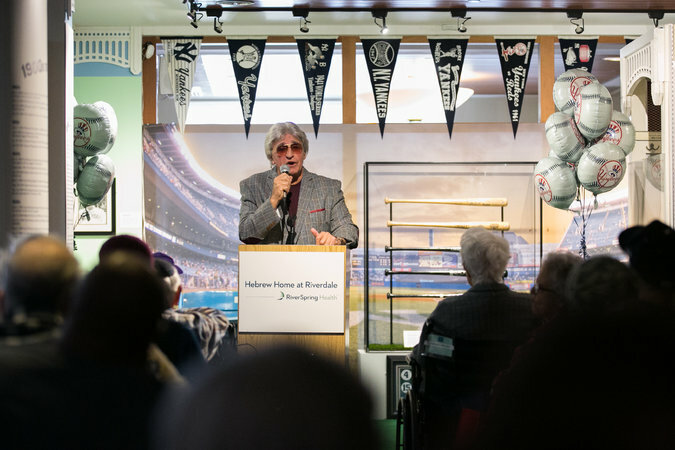 Even Joe Pepitone, a star for the Yankees in the 1960s who spoke at the kiosk’s recent unveiling, said the smells reminded him of playing in Yankee Stadium as a rookie first baseman in 1962. For Frances Freeman, who grew up in Brooklyn rooting for the Dodgers, the kiosk’s beer smell did provoke a reaction. The 103-year-old woman steered her wheelchair to the beverage table and grabbed a beer. Since scent and memory are intimately linked, using the smells of the ballpark presented “a chance to reach the residents in a special way, as a tool to unlock doors in their memories,” said David V. Pomeranz, the Hebrew Home’s chief operating officer. Mr. Pomeranz said the kiosk idea grew out of a discussion he had with Andreas Fibig, chief executive of International Flavors and Fragrances, a Manhattan-based company that creates scents for perfumes and other products, as well as flavors for food and beverages. The company did not have to venture to any ballpark to capture the smells — its perfumers created them from the firm’s vast catalog of fragrances, said Matthias Tabert, the company’s senior manager for strategic insights. Some ballpark staples did not make it into the array of scents, such as peanuts and Cracker Jack. Though both could be developed as fragrances with no traces of real peanuts, the home decided against it to avoid alarming people with peanut allergies, Mr. Pomeranz said. For Al Schwartz, 91, the scent kiosk reminded him of first visiting Yankee Stadium in the late 1930s, when 60 cents could buy a seat in the bleachers and $1.10 a seat in the grandstand. Mr. Schwartz said the smells reminded him of the joy of watching Joe DiMaggio snare a fly ball and the sadness of learning in 1979 that Yankees catcher Thurman Munson had died in an airplane crash. Mr. Schwartz also recalled a 1942 charity exhibition in which Babe Ruth made a post-retirement appearance and struggled to hit a home run against the great pitcher Walter Johnson in front of 70,000 fans. A version of this article appears in print on April 1, 2018, on Page A1 of the New York edition with the headline: Catching a Whiff of Faded Ballpark Memories. Many people wonder if it is a good idea to give their home to their children. While it is possible to do this, giving away a house can have major tax consequences, among other results. While your parents may not have to pay taxes on the gift, if you sell the house right away, you may be facing steep taxes. The reason is that when property is given away, the tax basis (or the original cost) of the property for the giver becomes the tax basis for the recipient. For example, suppose your parents bought the house years ago for $150,000 and it is now worth $350,000. If they give their house to you, the tax basis will be $150,000. If you sell the house, you will have to pay capital gains taxes on $200,000 — the difference between $150,000 and the selling price. The only way for you to avoid the taxes is for you to live in the house for at least two years before selling it. In that case, you can exclude up to $250,000 ($500,000 for a couple) of their capital gains from taxes. Inherited property does not face the same taxes as gifted property. If you were to inherit the property, the property’s tax basis would be “stepped up,” which means the basis would be the current value of the property. 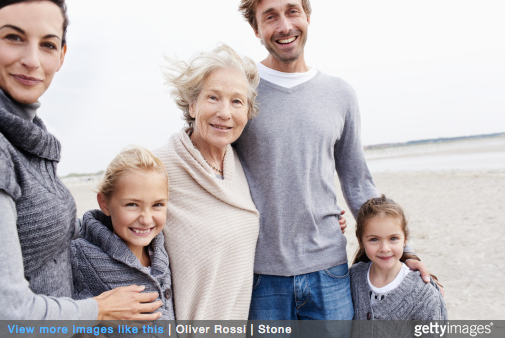 However, the home will remain in your parents’ estate, which may have estate tax consequences. Beyond the tax consequences, gifting a house to you can affect your parents’ eligibility for Medicaid coverage of long-term care. 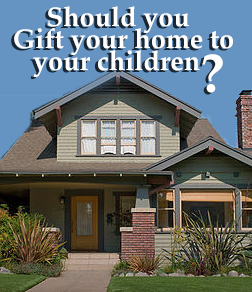 There are other options for giving a house to children, including putting it in a trust or selling it to them. Before your parents give away their home, they should consult with your elder law attorney, who can advise them on the best method for passing on their home. To read more articles about gifting from Brian A. Raphan, P.C. click here. A Kentucky appeals court rules that a Medicaid applicant’s penalty period is appropriate because the state is not required to treat multiple transfers as a single transaction when the transfers are not related. Marcum v. Commonwealth (Ky. Ct. App., No. 2014-CA-000487-MR, April 10, 2015). In July 2011, Betty Marcum applied for Medicaid and the state imposed a penalty period based on a transfer of assets. During the penalty period, Ms. Marcum sold her home and transferred the proceeds into an irrevocable trust, with her family gifting a portion of the money back to her. She also made other transfers from her bank account. In June 2012, Ms. Marcum applied for Medicaid benefits again. The state imposed a second penalty period, running from the date of the second application. Ms. Marcum appealed, contending that the state incorrectly calculated the penalty period. The state’s Medicaid operations manual requires that multiple related transfers be counted as a single transaction that occurred on the date of the first transfer and that once a penalty period has been established, it runs until expiration. Ms. Marcum argued that these provisions required the state to treat all of the disqualifying transfers together in a single penalty period. A state appeal board upheld the imposition of the second penalty period, and a trial court affirmed. Remember, although federal funded, Medicaid rules do vary by state. For a free initial consultation or more information on how to protect and preserve your assets with Medicaid Planning, click here. Can I Give My Kids $14,000 a Year? If you have it to give, you certainly can, but there may be consequences should you apply for Medicaid long-term care coverage within five years after each gift. The $14,000 figure is the amount of the current gift tax exclusion (for 2014 and 2015), meaning that any person who gives away $14,000 or less to any one individual does not have to report the gift to the IRS, and you can give this amount to as many people as you like. If you give away more than $14,000 to any one person (other than your spouse), you will have to file a gift tax return. However, this does not necessarily mean you’ll pay a gift tax. 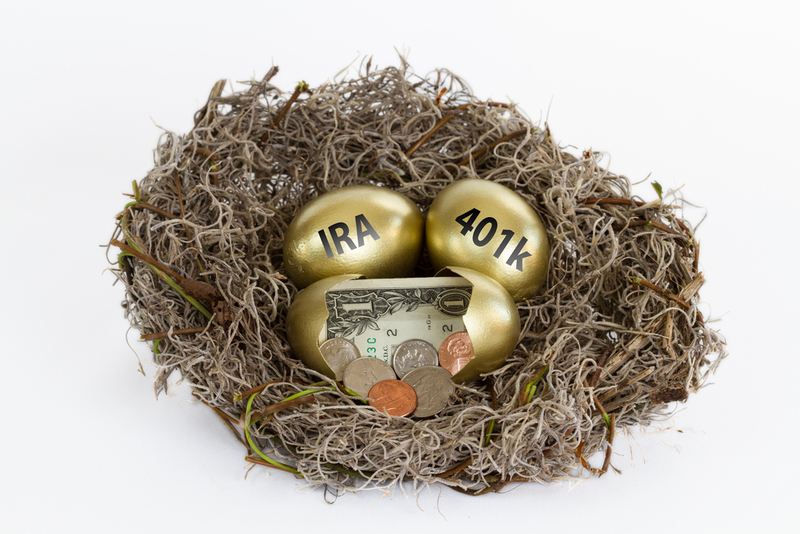 You’ll have to pay a tax only if your reportable gifts total more than $5.43 million (2015 figure) during your lifetime. Many people believe that if they give away an amount equal to the current $14,000 annual gift tax exclusion, this gift will be exempted from Medicaid’s five-year look-back at transfers that could trigger a waiting period for benefits. Nothing could be further from the truth. The gift tax exclusion is an IRS rule, and this IRS rule has nothing to do with Medicaid’s asset transfer rules. While the $14,000 that you gave to your grandchild this year will be exempt from any gift tax, Medicaid will still count it as a transfer that could make you ineligible for nursing home benefits for a certain amount of time should you apply for them within the next five years. You may be able to argue that the gift was not made to qualify you for Medicaid, but proving that is an uphill battle. If you think there is a chance you will need Medicaid coverage of long-term care in the foreseeable future, see your elder law attorney before starting a gifting plan. Reversing a trial court, a Louisiana appeals court determines that a nursing home resident improperly transferred close to $50,000 to his caregiver nephew and the nephew’s wife because the payments were not made pursuant to a valid personal care agreement. David v. State of Louisiana Department of Health and Hospitals (La. Ct. App., 1st, No. 2014 CA 0791, Dec. 23, 2014). Widley David entered a Louisiana nursing home in 2008. Between 2008 and 2010, Mr. David wrote six checks to his nephew and his nephew’s wife totaling $49,195. According to Mr. David, the checks were intended to repay his closest living relatives for the daily care that they provided him in the nursing home. When Mr. David applied for Medicaid in December 2010, the Louisiana Department of Health and Hospitals (DHH) assessed a nearly 15-month penalty period due to the transfers. Mr. David did not appeal the initial imposition of a penalty period, but in July 2011 he requested a change in status from private pay to full Medicaid pay. DHH denied this request, stating that pursuant to the initial denial, Mr. David was ineligible for Medicaid until January 2012. Mr. David appealed the denial of his change in status, arguing that the payments to his relatives were reimbursement for care provided and not to qualify for Medicaid. DHH claimed that the payments would be valid only if made pursuant to a written personal care agreement, which Mr. David had never executed. After a trial court found in favor of Mr. David, the state appealed. To read the full text of this decision, click here. To learn more about Medicaid Planning click here.